Just when you think you know your one-time International Man of Mystery turned ghostly confidant . . . When last we met, dear friends, a man had come calling, claiming to be Crispin Alistair Winterbottom, my dead British ex-spy. A notion I'd find ludicrous, if the handsome imposter didn't, in fact, look exactly like my dead British ex-spy. But there's no time for that mystery when a quiet walk on our private stretch of beach turns up something far more pressing-another tragedy in my beloved small Washington town. That's right. 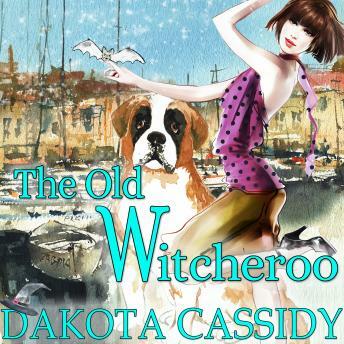 I, Stevie Cartwright, ex-witch turned amateur sleuth, have stumbled upon another murder. But this time it's closer to home, more personal, a victim who'd touched the hearts of so many in Ebenezer Falls, young and old. In fact, there's only thing more surprising than the victim . . . The good man who's become the number one suspect. Along with my Spy Guy Win, my bat familiar Belfry, our rescue dog Whiskey, and even an unexpected new friend or two, I'm jumping back into my Sherlock shoes to catch the cleverest killer yet!